Comfortable dentures that fit right! At Rancho San Diego Dental we are very experienced in creating natural-looking dentures that are custom-fit to our patients. Our advanced training and experience in placing comfortable dentures ensures you will get the best results possible, both functionally and aesthetically. While it is very important that dentures look natural and beautiful, it is also important that they work well when you chew. So ensuring you have a proper bite is at the top of our list. We make natural looking dentures that are precision-fit for your mouth and designed to give you the healthiest bite possible. Our advanced techniques of fabricating your new dentures will allow you to speak, eat and smile with confidence. We use computer scans to make sure your denture work, including your bite, is correct. 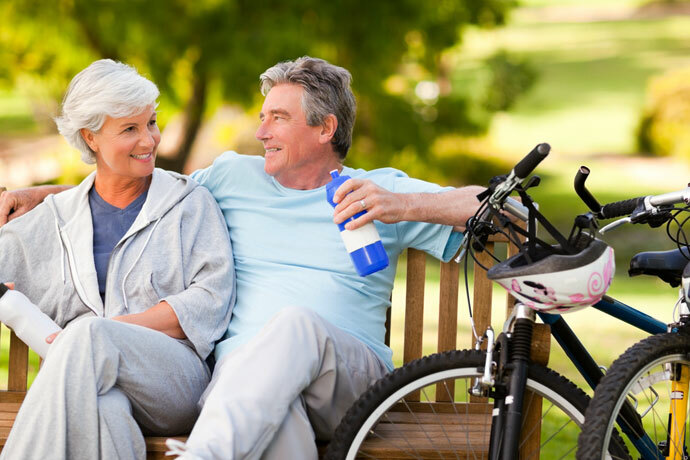 This assures not only your comfort but also the longevity and functionality of your dentures. 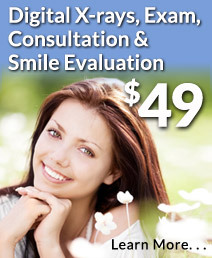 The computer scans are quick and painless and enable our dentists to correctly evaluate your bite. The primary cause of the majority of problems with dentures is a bad fit. Creating a perfect fit is a combination of science and art. Our dentists are very experienced in making and placing well-fitting dentures that look like real teeth. We will perform a comprehensive oral exam and discuss with you the various denture options that will meet your expectations. 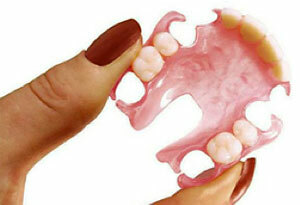 We will make sure your dentures fit precisely to your mouth and are pain-free and comfortable. We offer custom shading, fitting, shaping and alignment for a totally natural look. And with our no-metal dentures, no one will be able to know you’re actually wearing dentures! Because we use our own private local lab that provides optimum-quality work and a fast turnaround, your dentures and denture repairs can be completed correctly the first time and with very little wait time. Instead of metal clasps, we use no-metal partials made by using extremely strong plastic clasps. Our no-metal partials are ideal for the majority of denture wearers. People who clench or grind their teeth or who have a heavier bite are the only exceptions. You shouldn’t have to wait until your new dentures come back from the lab to have teeth. We will fit you with comfortable, attractive temporary dentures until your mouth has healed. This way, after the extraction procedure you’ll go home with temporary dentures to use until your new permanent dentures are created. To help prevent slippage, soreness, pain and chewing problems we can also use other denture solutions, such as implant-supported dentures. Mini Dental Implants are an effective, affordable and efficient alternative to traditional dental implants which can be placed in one visit and require no healing, allowing for your dentures to be placed immediately.